Today I am posting my interview with indie designer Arlette Thibodeau. Arlette is a fresh, young, Oakland CA based designer with a really sharp looking blog of her own. I greatly admire Arlette's awesome and natural sense of design not to mention her impressive photography skills! Welcome to my blog! Thanks for being here! How did you fall for knitting? What kept you casting on after that first wonky scarf or hot pad? I learned how to think in an organized fashion through knitting. If you make a mistake, you have to figure out what’s wrong and you have to fix it. There’s no way to sweet-talk or charm a misbehaving knit into forgiving you or agreeing to disagree. But there’s always a right answer to find. And if a “right” answer doesn’t exist, you can invent one. 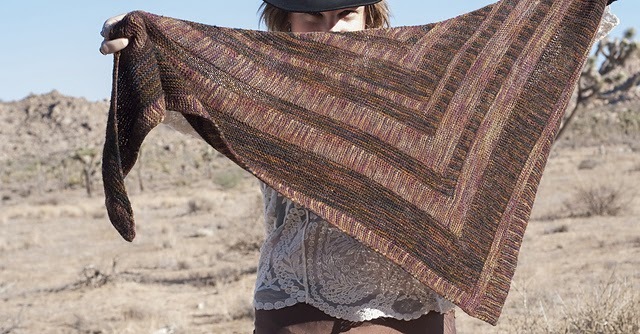 How and why did you decide to begin designing knitting patterns? As to publishing, I’ve always been a “Guys! The means of production are in our own hands, let’s use ‘em!” kind of person. My family and, to a smaller degree, the Bay Area’s crazy DIY culture taught me it’s never stupid to make something yourself — and if you take the time to do it right, any average person can make extraordinary things. A background in web development and newspaper layout sure don’t hurt when you’re self-publishing your own stuff, either, and neither does a years-long interest in photography. Once I got organized enough to take a pattern from prototype to finished, self-published PDF or hard copy, design felt inevitable. What are some sources of inspiration for you in your designs? Honestly? The same distractions that my attention deficit disorder snag on. My brain’s already giving me tons of interesting commentary: “Look at the color of that leaf against the sky! Look at the way the light reflects on the water! Those four cars next to each other are almost the same shape and for some reason that’s incredibly funny! How does the shape of a seashell change as it gets bigger? Why is the silhouette of a crow different from the shape of a seagull?” Those moments especially come out in nature, where I’m generally alone and won’t annoy anyone with several minutes of frowning at the scenery while I think about about sandstone or bird’s feet. 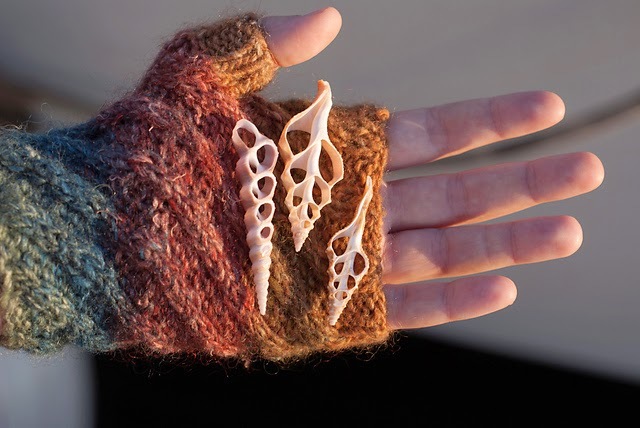 What aspect/phase of knit design do you enjoy the most? And which one do you enjoy the least? What I enjoy most is when, after ripping out a bunch of swatches and crossing out a bunch of sketches, I get a few inches into a swatch, and I can feel that this is the version that’s going to work. If what I’m doing works perfectly the first time, I’m probably not pushing myself hard enough. The part I enjoy the least is that moment of shooting photos when it feels like I’m missing the shot I want. By then I’m anxious I won’t get it and I’m worried about wearing out my model, who’s generally an amateur who’s only agreed to do it because they’re my friend, and that whole mood makes it hard to loosen up and get something great. Can you tell us something about a new design you are currently working on? Yeah! 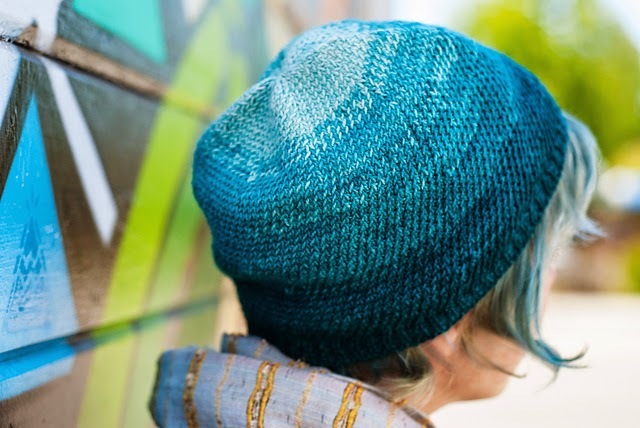 There’s a lake (well, tidal lagoon) in the center of my city, and I’m working on a colorwork hat based on the way light reflects off it at night. It’s one of a few I’m working on that are based on things in and around Oakland, where I live. I think what I have enjoyed most about the Ravelry Gift-A-Long promotion has been a chance to get to know other designers and their work. What have been the highlights of the promotion for you? The knitting world has a lot of big names and trends, so you see a lot of the same things over and over. (Rightfully so, because the industry is doing some amazing work.) The Gift-A-Long has been a great way to mix things up and see other facets of the design world that I might miss otherwise. I love Arlette's answer to that second from last question about colorwork and light and water (tidal lagoon? how exotic!) and that it is based on a real place in Oakland. 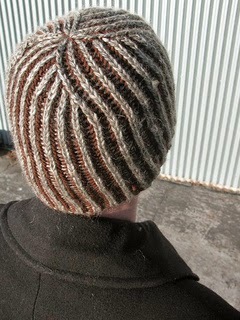 I will be looking forward to seeing her "reflective" colorwork hat! Coincidentally, Arlette and I both have designs named Double Dutch. I believe that we both put considerable thought into naming our designs, and I appreciate all of our reasons for our names. I have been thinking about how much I really enjoy naming my knitting patterns. and I would like to talk about that in a post one day. Until then, please visit my new friend, Arlette. I guarantee that you will like what you see! All photos in this post were used with permission and are © Arlette Thibodeau.